Large Venetian mask made from real cartapesta. 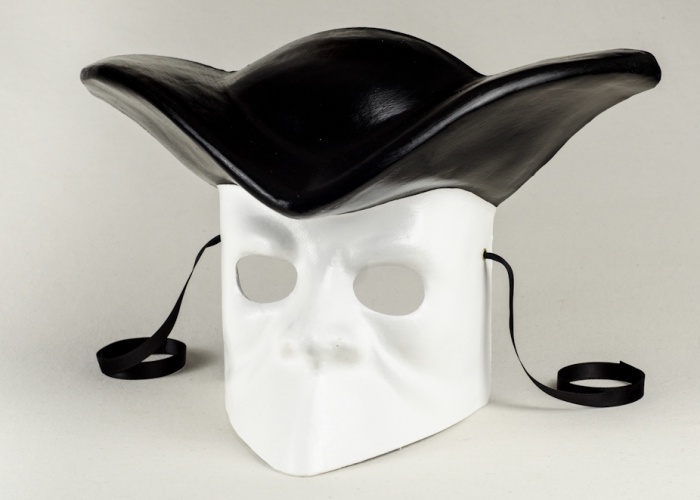 Reproduces the appearance of the traditional Venetian bauta mask, combining it with the tricorn hat as seen in depictions from the 17th and 18th centuries. A fine option for those looking for traditional Venetian masks or Venetian wall masks.